Welcome to your local Age UK Business Directory for Derby and Derbyshire. The traders & businesses listed on this website have all been checked by local Age UK staff to ensure that they are qualified, insured and have a history of reliable and trustworthy trading. This charity run directory provides details of trusted services, traders and businesses throughout Derbyshire including Derby, Ripley, Ilkeston, Belper, Allestree, South Normanton, Long Eaton, etc. 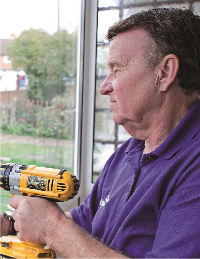 This local Age UK Business Directory is a free service for you to find a builder, roofer, electrician, plumber, joiner, plasterer, gardener, cleaner, solicitor or any other type of supplier or service. We list reputable retailers as well as contractors and mobility aid providers that can be trusted. You can be assured that we are very careful about the services we promote here and each company has been checked by local Age UK staff, to find out more about how member companies are checked please view the 'about us tab'.